Incredible custom-built home built by Whitestone Builders. 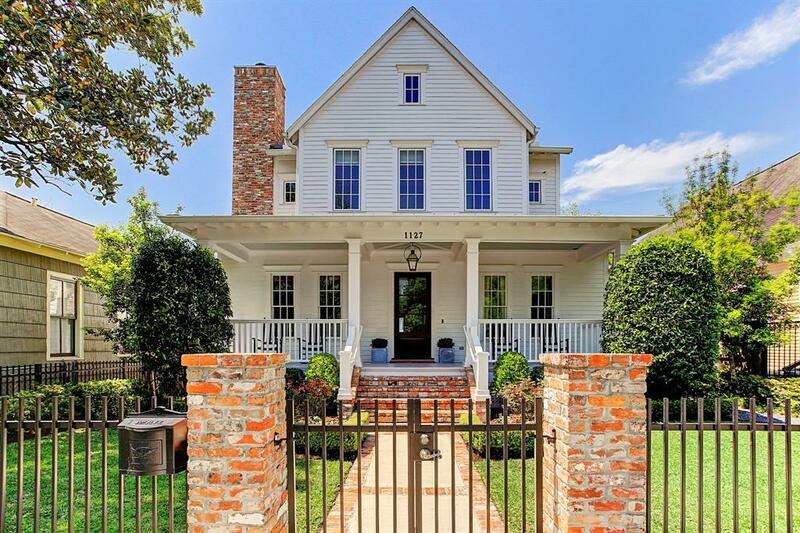 One of the featured showcase homes from the 2016 Heights Home & Garden tour. 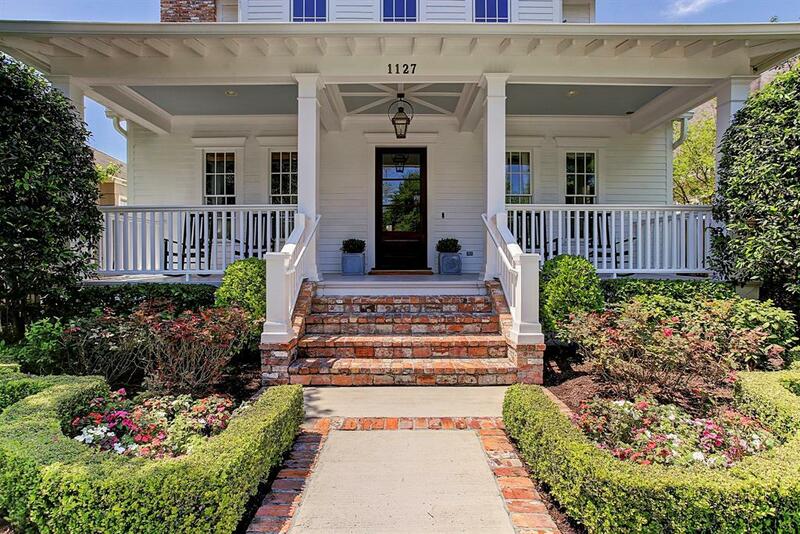 Inviting front porch w/ gas lamp, standing seam metal roof. 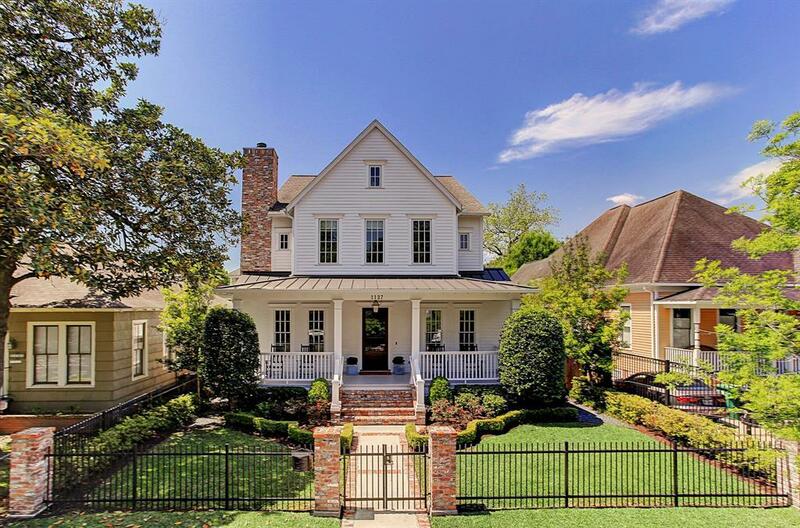 Tons of charm, high-end features & finishes, designer wallpaper & light fixtures throughout. Formal living w/ lacquered walls. Light-filled dining room. Chefs kitchen features Thermador stainless appliances, built-in fridge, carrara marble, open floor plan w/ Family Room & Playroom/Study. Spacious master suite w/ huge walk-in closet & office nook. Spa-like master bath boasts a cathedral ceiling w/ wood beam, stand-alone volcanic ash tub. 2 secondary beds w/ Jack & Jill bath. Additional guest bed w/ ensuite bath. Mud space. Unfinished garage apartment, w/ pluming & electrical (add'l 500 sq ft). Huge back covered patio, plus sizable greenspace. 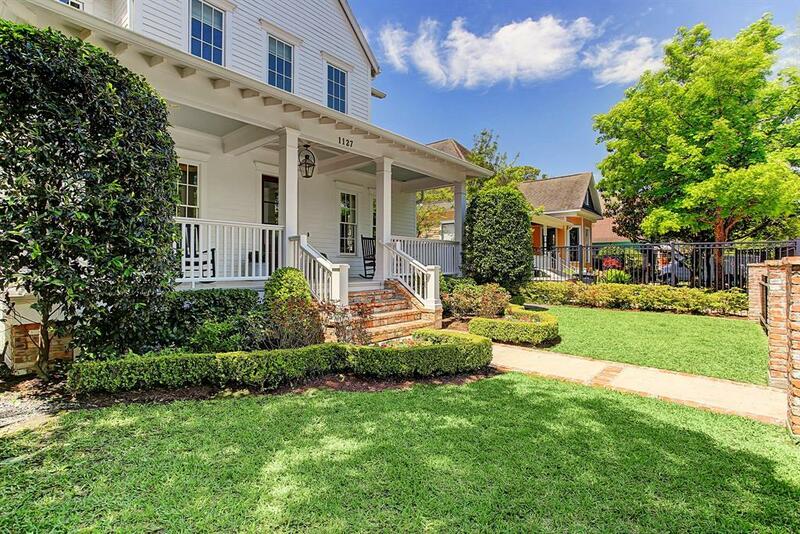 Fantastic location close to numerous popular Heights restaurants, coffee shops, & parks. Zoned to Harvard Elementary.This spectacular home is a MUST see!